So you want to purchase a plasma cutter! It's kind of a bewildering prospect to select a piece of equipment that is new to you with so many manufacturers and models to choose from. How many hours a day do you plan to use your plasma cutter? In other words, what kind of duty cycle must it have? What kind of electrical service do you have where you intend to use the machine? Is it 50 amp 220 volt single phase, or perhaps 30 amp 110 volt single phase? What other equipment will be running simultaneously on the same circuit? What kind of portability must your plasma cutter have? Will you be using it exclusively in your shop, or will you need to take it to the job? Do you have a means of supplying the machine with compressed air in remote locations? How will you do that, with a portable compressor or an air bottle? How will you supply electric current at the site? What kind of material do you plan to cut, and how thick is it likely to be? 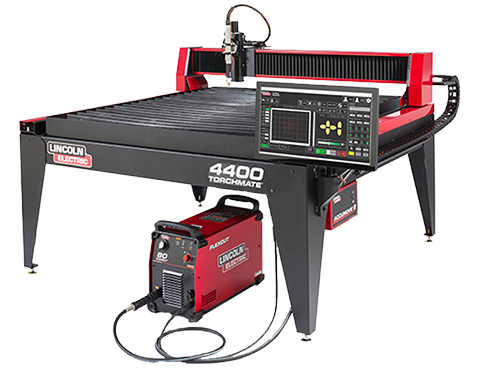 Will you be doing manual cutting exclusively, or is there a possibility that you may want to use your plasma cutter with a CNC cutting machine? Generally speaking, the higher the amperage output of the plasma cutter, the greater the duty cycle is at lesser amperages. In other words, if you plan to use the machine around the clock, you should consider a larger unit than you would need to cut the material you will be working. If you will be using your machine frequently, but not continuously, consider a unit that is capable of cutting the thickest material you are likely to work. Most manufacturers provide duty cycle information in their literature. Many people make the mistake of thinking that the greater the capacity of the machine, the better it is. In general, fabricators consider oxy-fuel to be superior to plasma for cutting steel when thicknesses exceed about 1/2 inch. This is because of the slight bevel (4 to 6 degrees) in the cut face that plasma produces. It is not noticeable in thinner materials, but becomes more so as thicknesses increase. Also, at thicknesses above 1/2 inch, plasma has no cutting speed advantage over oxy-fuel. There is little point in buying a plasma cutter that will cut 1 1/2" plate, if you are going to use acetylene for such work anyway. If you are planning to cut non-ferrous metals such as stainless or aluminum, which cannot be cut by oxy-fuel, consider a 50 to 80 amp. 220 volt plasma cutter. If you plan to use your plasma cutter outside the shop occasionally, you should consider one of the new breed of semi-portable machines. These units are little powerhouses that weigh less than 100 lbs., yet are capable of cutting 3/4" to 1" in a pinch. You will need a bottle of air or a compressor, and a hefty portable generator. 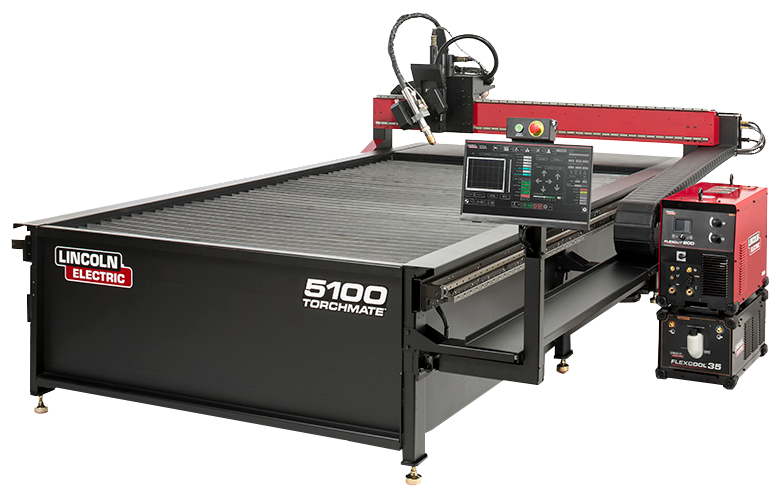 If you believe that you may automate your plasma cutting at some point, you must select a unit that does not use a high-frequency starting circuit. A high-frequency start acts like a spark plug in a car. Rather than using a relatively lower voltage pilot arc to initiate the plasma process, it uses a high voltage spark. This causes electrical interference such as locking up the computer, destroying files, etc. None of Hypertherm's Powermax units use a high frequency starting circuit. Like most other things in life, you get what you pay for. Imported plasma cutters can be found on the market for $800 or less. However, that is money that could be put toward a modern inverter type unit costing more initially, but less over time when the cost of replacement parts and consumables is factored in. On that note, it should be pointed out that Hypertherm's Powermax line uses a new, patented air flow system and torch design that actually delivers up to 4 times the consumables life of their other models and competing brands. 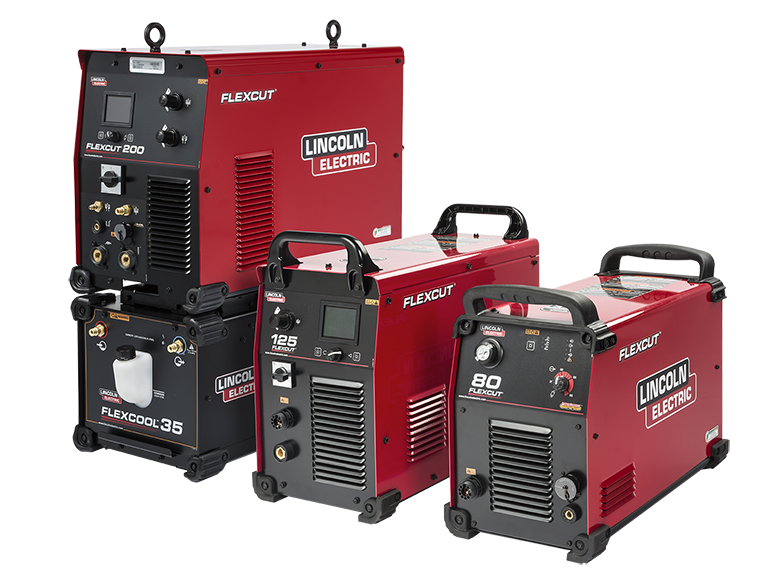 Make your selection intelligently, based on the above considerations, and your plasma cutter will give you years of reliable performance. Don't make the mistake of purchasing a unit on the basis of cost. An inexpensive machine that doesn't meet your needs is no bargain.